GAMAKNA #6: First anniversary issue - FORUM KROSMASTER : Forum dedicated to discussions about Krosmaster. Share all your opinions, ideas and tactical tips! It's been… one year, my friends! And here's issue No. 6 (8 in all, with issue No. 0 and the special issue). As we move forward, we promise to provide even more spoilers, discussions with our readers, background, and exciting news. In KROSMASTER news: presenting Season 6, PH's logbook, and new products from Boardgames. Thank you all for your support and to all those who gave invaluable feedback in our survey in GMK #5 (in fact, we have some responses for you in this issue). We have just one goal going forward: keep getting better and offer you even more! 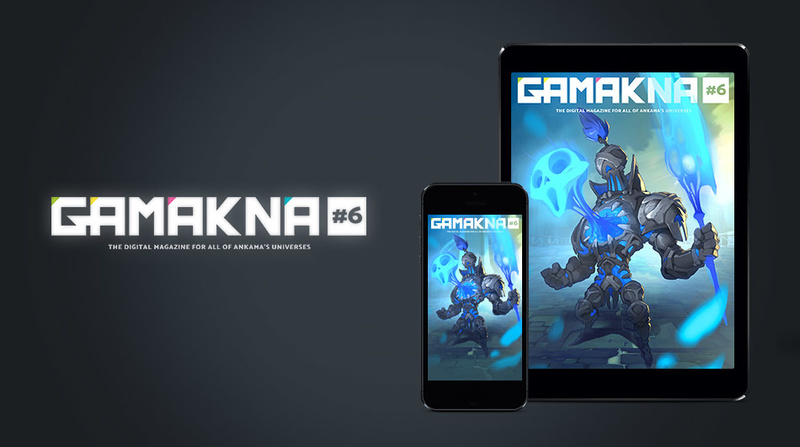 Want to read Gamakna on your phone or tablet? Download the app! Want to read Gamakna on your PC? Read it in your browser! I don't like how they did the codes in this issue. I couldn't get one (two?) to work. Ga na wak 18 ? ?